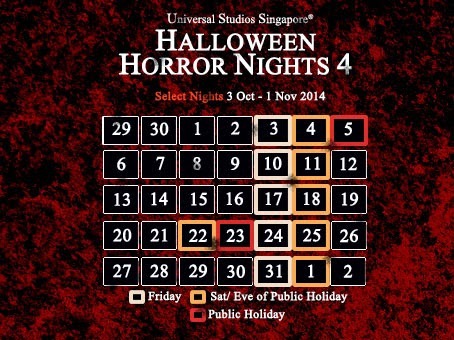 Resorts World Sentosa has released the event dates for Halloween Horror Nights 4. The event will run from 3 Oct to 1 Nov, and is significantly extended from 8 nights last year to 13 nights this year. Halloween Horror Nights will also coincide with 2 public holidays: Deepavali and Hari Raya Haji, so expect huge turnouts on and before these public holidays.